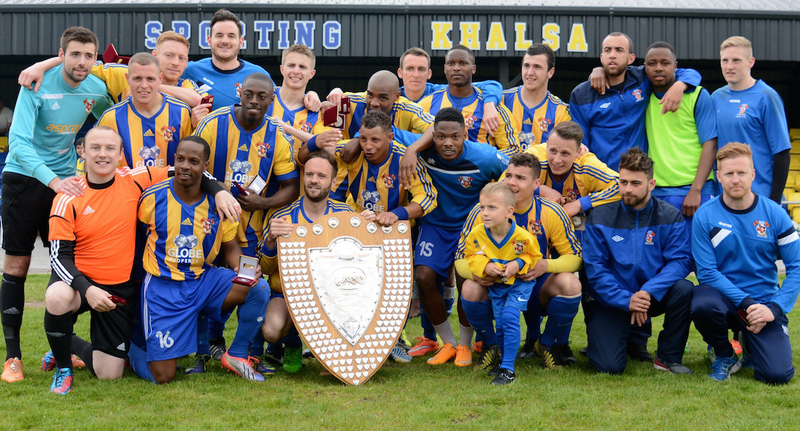 The story of Sporting Khalsa is certainly an interesting one, emerging as a club from humble roots as a Sunday League side to become established as one of the most progressive outfits in West Midlands grassroots football. Established in 1991, Sporting Khalsa began playing senior football in the local Walsall & District Sunday leagues and, for two seasons between 1995 and 1997, the club played Saturday football at a semi-professional level. With a more solid foundation and reorganisation of the executive committee in 2004, the club rejoined the West Midlands Regional League Division Two (semi-professional level seven league). In season 2004-05 the first team gained promotion into Division One of West Midlands Regional League (FA League Pyramid Structure level six) in addition to restarted a youth policy this season. 2005 was a year to remember, as Sporting Khalsa became the first Asian semi-professional football club in the country to own its own ground. The decision to purchase the Abbey Park Stadium (formerly home to Bloxwich Town) was taken by the club as it needed a permanent base from which to build upon its successes and built a centre for footballing excellence. Walsall Football Club played a friendly to mark the official opening of the new ground. A ladies team was introduced in 2006 that played in the South Staffordshire League. In 2007 the club played in the FA Vase for its first time (losing in the first qualify round) and also introduced a veterans over 35s side in the Central Warwickshire over 35s League. After five years at Abbey Park ground, Sporting Khalsa announced in May 2010 that they would be purchasing the five acre freehold grounds of Willenhall Town from the Receivers. After extensive work on the pitch and social facilities with the total outlay of over half a million pounds the stadium was finished on the eve of the 2010-11 season. In its first season at their new Aspray Arena home the club gained promotion to the Premier Division of the West Midlands Regional League. In 2012-13 the club played in the FA Cup for its first time in its history, progressingto the first qualifying round. The Khalsa Sunday team won the Warley Sunday Premier League and also progressed to the fourth round of the FA national cup. The following season, Khalsa finished sixth in the West Midlands Regional League Premier Division and were runners up in the J W Hunt Cup at the Molineux. Without doubt, the 2014-15 season was the club’s most successful, both on and off the pitch. Under the management of Ian Rowe, the first team won the West Midlands Regional League with a record number of points and goals scored, in addition to winning the Staffordshire FA Vase. Khalsa lost only one league game all season and also reached the semi-finals of the league cup and the quarter finals of the J W Hunt Cup. In addition, as part of an ongoing programme of investment at the Aspray Arena, the Black Country Performance Hub was opened, providing state-of-the-art five-a-side facilities and a gymnasium and martial arts space. The 2015-16 season saw Khalsa record their best ever FA Cup performance, making the fourth qualifying round, just one game from the first round proper, before falling to FC United of Manchester 3-1 at the Aspray Arena. Finishing third in the Midland Football League behind champions Hereford and Alvechurch, Khalsa also won the JW Hunt Cup, beating Wolverhampton Sporting 2-1 in the final at Molineux. Third spot was to be the prize the following season as well, this time behind champions Alvechurch and runners up Coleshill Town. However, there was good news in the FA Vase where Khalsa made it to the quarter-finals before bowing out to fellow Midland Football League side Coleshill. The 2017-18 campaign can perhaps best be described as challenging. With a £1m redevelopment of the Aspray Arena taking place, Khalsa relocated to their neighbours AFC Wulfrunians for six months coinciding with them slipping from top of the league to their final fifth-placed finish.